Annotation: Explores the different parts of a city layer-by-layer, including the roofs of skyscrapers, water and sewage systems, and building foundations. - Urban geography; Juvenile literature. - Cities and towns; Juvenile literature. Stick figures travel from the tops of a city's skyscrapers to its underground sewers and transit systems. On each spread, human activity and technology in each "layer" are presented in orderly text boxes and informative diagrams with unfortunately tiny type. Although the topics and organization are somewhat arbitrary and the stick-figure gimmick unneeded, this detailed series entry covers a variety of physical science and engineering principles. Glos., ind. Copyright 2017 Horn Book Guide Reviews. 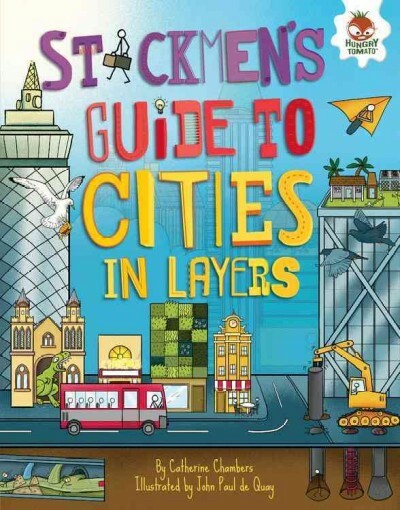 Gr 4â€“8â€”Chock-full of information, these guides will intrigue browsers. The organizational layer-by-layer strategy works well for the most part. From the sunlight zone to ocean trenches, readers learn about plants and animals as well as the methods and tools scientists use to study each subject. Atmosphere considers satellites, weather forecasting, ozone depletion, and more, from exosphere to troposphere. Mountains and Valleys loses some focus by including topics as varied as plains, tectonic plates, and the earth's core. Stick figures appear on most spreads among the detailed drawings and diagrams. Many unfamiliar terms are defined in the text rather than in the brief glossary. Lack of source documentation means that readers will need help locating additional resources on specific topics. VERDICT Good starting points for curious browsers, who will pore over the pages and may be motivated to seek more in-depth information elsewhere.. Copyright 2016 School Library Journal.